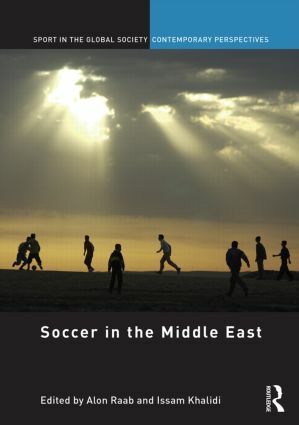 This collection explores the multifaceted connections between soccer and society in the Middle East. It examines the social significance of soccer and its importance to individuals and the collectivity. Shaped and influenced by such forces as religion, colonialism, nation-building and globalization, the game is a source of both conflict and peace. Soccer is a vital part of the Middle East’s cultural and political fabric. The chapters in this volume include an essay on the leading role played by fans and players during the Arab Spring revolts; anthropological studies of women players in Iraqi Kurdistan, obstacles faced and overcome; reports centered on the politics of Turkish fans; a survey of the political affiliations of Lebanese clubs; studies of　pre-1948 Palestinian sport; and portrayals of Arab athletes in the Israeli media during the second Intifada and how they reflect shifting political realities and attitudes. The themes of this book are addressed through individual accounts, sociological studies, philosophical speculations and selections culled from literature. This collection offers fresh insights into the hope that soccer can provide,　demonstrated recently by the successes of the Iraqi national team, suggesting possibilities of unity and solidarity in a fractured land. In the complex, dynamic and politically fraught societies of the Middle East, soccer captures the imagination and embodies the values and dreams of its followers in multiple configurations. This book was originally published as a special issue of Soccer & Society. Alon Raab is co-editor of The Global Game: Writers on Soccer (2008) and teaches Religious Studies at UC Davis in California, USA. His classes include the Israeli-Palestinian Encounter Through Film and Literature and The History and Culture of Soccer. He has written journalistic and academic studies of the game and its culture. Issam Khalidi, an independent scholar living in San Francisco, California, USA, is the author of History of Sports in Palestine 1900-1948 in Arabic, One Hundred Years of Football in Palestine in English and Arabic, as well as various articles on the subjects included at hpalestinesports.net.